Dorsey & Whitney is an international law firm that's ranked in the top 100 by American Lawyer with offices in the United States, Canada, the United Kingdom and Asia. Dorsey & Whitney LLP Eliminates Costs and Headaches with Streamlined Management of Printers Across the Globe. Dorsey & Whitney is an international law firm that's ranked in the top 100 by American Lawyer. With offices in the United States, Canada, the United Kingdom and Asia, maintaining its fleet of printers was a challenge. Because each office managed its own equipment, there was a lack of consolidated reporting metrics on how much the firm was spending on printing. Managing toner inventory and updating devices was difficult. What's more, the age and models of the firm's devices varied from location to location, causing headaches for Dorsey & Whitney's IT team, who had to work with a number of different equipment types and print drivers. When Rich Blasing joined Dorsey & Whitney as the Director of Core Technology Services, one of his initiatives was looking for a more cost-effective way to manage printing on a global scale. 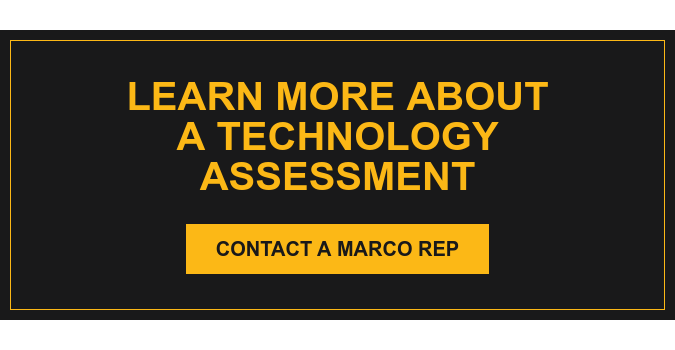 Though his HP printer representative gave Marco’s Managed Print Services a great recommendation, Blasing wasn’t sure if the company would be able to manage his printing needs outside of Marco’s office location footprint. Blasing met with a Marco technology advisor and together they developed a financial and structural case that addressed the firm’s global needs. The plan included a standardized and documented process for implementation in 14 offices in the United States (including Anchorage, Alaska), Canada and London. Over the course of three short months, the new technology was implemented. Years later, Blasing says the financial and operational impact of Marco’s Managed Print Services has been significant. “We have a service that’s timely, effective and efficient. I tell people that with our Marco relationship, it’s almost as if the printers don’t even exist in my environment because there aren’t any issues. I don’t get calls anymore from office heads, office administrators or attorneys about the state of our printers. It just does not happen,” said Blasing. By standardizing the print models in all of its locations, the firm created consistency in its print drivers and in user behavioral performance with its applications. Standard models also allow Blasing to easily relocate the printers in order to extend the life of maintenance on any particular device. The firm also incorporated mobile printing into its plan, giving guests the ability to print from their mobile devices, without compromising the firm’s firewall. More importantly, the firm can now quantify its printing costs using comprehensive reporting metrics. “It’s provided us with a predictable expense. We can look at a line item every month and say ‘this is what it costs us to print.’ It’s no longer a mystery. We have a real sense of how we use it and what volumes we use it at,” he added. The firm also has a better handle on toner expenses with automated toner refreshment, which eliminates the likelihood of excess inventory. And as an added bonus, Marco’s Managed Print Services has freed up Blasing’s internal staff to focus on more important things. “It’s taken an issue that was problematic and ate up a lot of internal IT time and outsourced it appropriately to a qualified vendor. It saves us a lot of energy, headaches and follow-up with users. That allowed me to allocate my IT resources to other value-add efforts within our firm to make it more productive for our business,” he said. As far as delivering service on an international scale, Blasing said Marco’s Managed Print Services have delivered what they promised, even in areas as remote as Anchorage and as far away as London. “They’ve been proven to work with us and have established partnerships with international players. London is one of our larger offices with over 45 attorneys and staff. Printing was extremely problematic there. Our partnership with Marco really made that painless,” Blasing added.